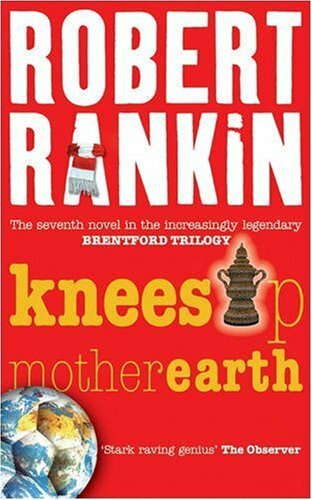 Knees Up Mother Earth, by Robert Rankin – This book returns to Brentford, the London suburb where Rankin grew up, which in his fiction is frequently home to mystical happenings. A local consortium is trying to purchase their football ground, which causes a bit of consternation even though hardly any of the locals have attended a match. It turns out that, as established in an earlier book, Brentford was the site of the Garden of Eden and the Serpent is buried under the ground. The only way to prevent the purchase is for the team to win the FA Cup. Professor Slocombe, Brentford’s oldest and most mysterious inhabitant, enlists the aid of Jim Pooley and his bestest friend John Omally to take the team to glory. Fortunately, they have the Professor’s magic to aid them. Unfortunately, they have dark forces opposing them. The story ties the long-running Brentford Trilogy (which by now is much more than a trilogy) with The Witches of Chiswick, in which William Starling goes back in time from the twenty-third century to the nineteenth to find that Victorian Britain was much more technologically advanced than anyone realized; but most knowledge of this technology was totally wiped out at the beginning of 1900. He also meets his evil counterpart from an alternate future, who is the main villain in Knees Up. Norman Hartnell, the local shopkeeper who is always working on some bizarre invention or other, somehow gets his hands on a Victorian computer and unwittingly sells the technology he rediscovers to Starling. As usual, the tale is full of parody and running gags. Not being very familiar with soccer didn’t hamper my enjoyment of the book, but there were some jokes about British celebrities that went over my head. Overall, though, it’s quite funny. 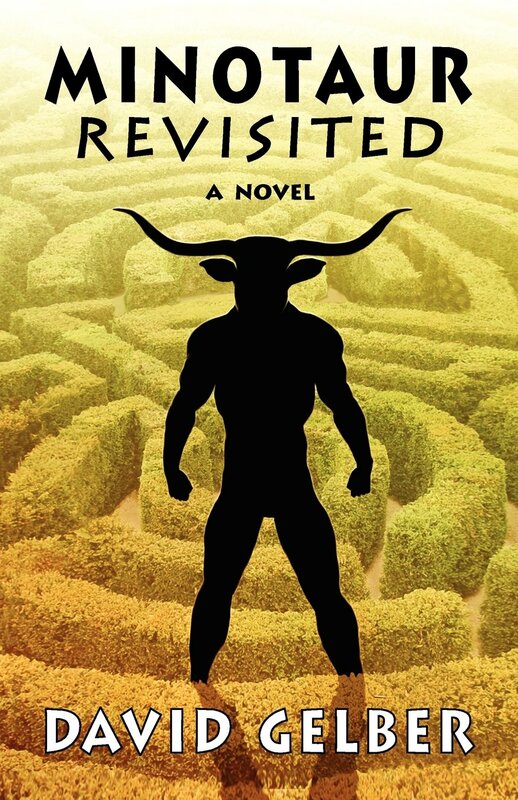 Minotaur Revisited, by David Gelber – When I saw this small-press book recommended for me on Goodreads, I figured it had to read it as it dealt with some concepts I’d been thinking of using myself. One is redeeming the Minotaur, who always seemed too fascinating to be confined to a single myth mostly focusing on his death. The other is a sort of mini-epic look at various mythologies through a different lens. In this tale, the Minotaur made a deal with Theseus to fake his death and escape the Labyrinth, then spent the next several centuries traveling the world and witnessing both legendary and actual history. Over the years, he meets Moses, Nebuchadnezzar, Jesus, the sister of Belle from Beauty and the Beast, Dracula, Martin Luther, Jack the Ripper, Pablo Picasso, and Lech Walesa. He is worshipped as a god in Egypt, inadvertently serves as the model for Aaron’s golden calf, raises a girl who becomes Queen of Sheba and a boy who fights against the slave trade in Africa, befriends a gladiator in Rome, rules a small French kingdom, and even survives the Holocaust. His tale is funny, triumphant, and tragic at various points, presenting an interesting character, a long-lived quiet intellectual in the form of a monster. The author’s biography identifies Gelber as having been raised Jewish and later converting to Christianity, so it’s not surprising that there’s a heavy focus on the Bible and Jesus, but at the same time it doesn’t preclude other beliefs. After all, the main character is from ancient Greek mythology. This entry was posted in Authors, Book Reviews, Brentford Trilogy, Fairy Tales, Greek Mythology, History, Humor, Magic, Monsters, Mythology, Robert Rankin and tagged david gelber, garden of eden, Jack the Ripper, jim pooley, john omally, knees up mother earth, minotaur, minotaur revisited, norman hartnell, Pablo Picasso, professor slocombe, the witches of chiswick, william starling. Bookmark the permalink. You’re welcome! I might have to check that out.